eMarketer put out a social series this week, going over stats for different social platforms. Definitely worth a look to see if it matches the expectations you have for your audience in each place and the content strategy your brand is using there. You can also take a look at the stats on Facebook and Twitter. Related to stats: Instagram outshines Snapchat as teens’ preferred social media platform, Piper Jaffray says from Erica Sweeney for Marketing Dive. 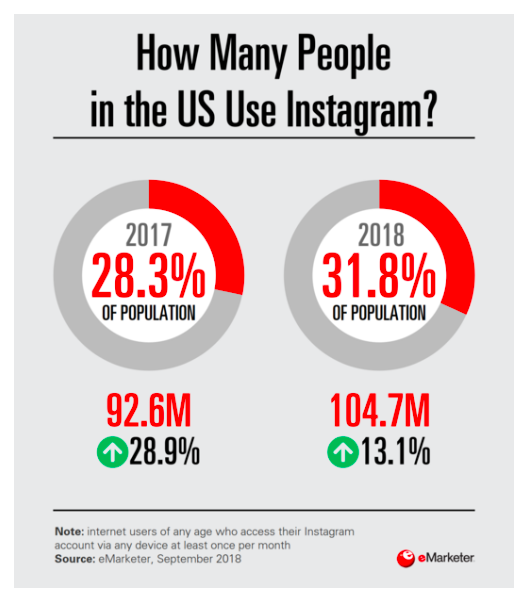 And if your brand still isn’t sure where to get started with Instagram marketing, check out Expert Insights into How to Get Started with Instagram Marketing from Jeff Rum for Social Media Today. A good caveat? Make sure you have a plan for managing your Instagram, a point person to do that managing, and a content queue before you get started.